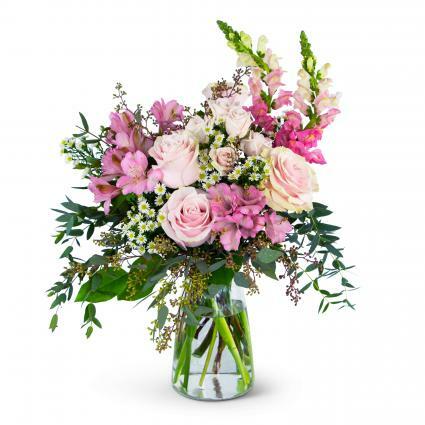 "A bright and bold combination of gorgeous popular pink roses and spray roses, white hydrangea, liatris and assorted foliage. 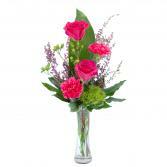 Designed in a clear glass vase and finished with a ribbon tie. 18""H X 9""W TMF-145A "